Are you are tired of getting the run around? There is nothing more frustrating then spending your time going from dealer to dealer just to be told that getting a car loan with bad credit isn’t possible. At Freedom Auto Financing we accept applications from consumers who are over 18 years of age, have a full-time job and earn a minimum of $8.75 per hour. This is accomplished through our strategic partnerships with the largest dealers and lenders across the country. It is very important, although not required that you know your credit score and verify everything for accuracy prior to shopping for a vehicle. This will allow you to locate any inaccuracies and also afford you the necessary time to work on getting them corrected. 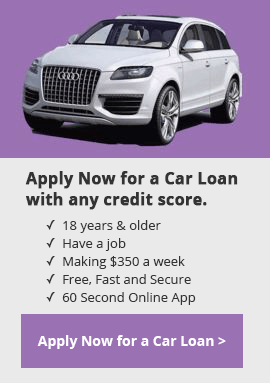 Confirming and fixing inaccuracies will help ensure that our national dealer network is able to approve you for the best available Bad Credit Car Loan program. Applying and receiving a pre-approval from one of Freedom Auto Financing’s participating dealers or lenders will put you in control, requires no commitment of any type, and is free.